In the past decade, remote employment has consistently been on the rise. In fact, remote employment is the fastest growing segment in today’s workforce. According to Upwork’s Future Workforce Report, over a third of knowledge workers will be working remotely full-time in the next decade. With that many people working remotely, it’s important to think of creative ways to communicate with employees. Benefits for remote employees include a better work-life balance, financial savings, and time savings. While there are many benefits of remote employment, there is a looming concern over how to motivate and engage remote employees. Because they’re not in the office with their team, remote employees often feel less connected to their peers, which can hurt performance and productivity. Organizations must recognize there is a need to provide a space, such as simple intranet software to have to separate what’s important from the daily chatter/noise. The first step is to understand the intranet’s purpose within the remote employee context. The intranet should be used to share trusted and curated information that helps remote employees focus and align with priorities and cultural norms. In addition to feeling connected and aligned with the organization, remote employees need to also feel like they’re part of the family. The intranet can be a fun and creative way to engage and communicate with your employees remotely. Chatting is not enough. Social tools, such as Slack and Jabber have caught onto this increasing trend, but instant communication doesn’t solve the root cause of employee disengagement. The biggest complaint that comes from remote employees is that they simply do not know what is going on. This lack of knowledge can make them feel second class. For this context, regular recurring information needs to flow across the organizational spectrum from strategic updates to culture-building fun. Internal communications should have a jammed packed content calendar that consistently beats the drum with an eye on ensuring everyone is in-the-know. 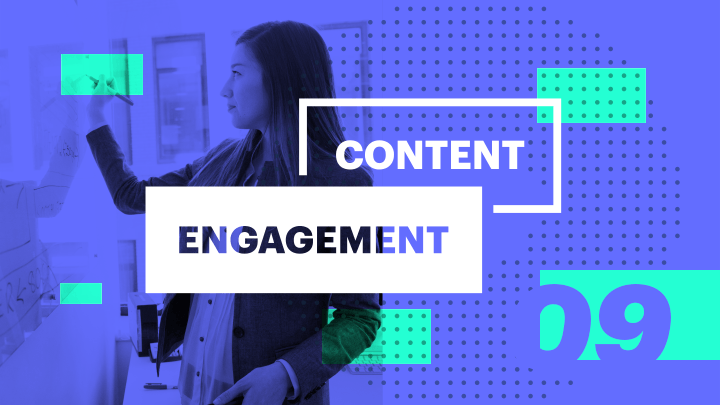 For more ideas on what should be included in your content calendar, see our Content Engagement Series of blog posts. Remote employees don’t have access to the actual water cooler. Creating a designated space on your intranet for digital coffee breaks is an effective and fun way to communicate with remote employees and catch up with coworkers. You can use this space to post fun and/or thought-provoking daily questions for remote (and in-office) employees to discuss. Think about the impact of riddles, productivity hacks, and self-improvement tips that these can have for remote employees who are looking to take a quick 15-minute break out of their day. There are countless ideas to think of creative ways to communicate and engage with your remote employees! For more information on digital coffee breaks, see our blog! Remote employees are uberly sensitive to gossip because they don’t see the in-office context and can’t tap into the collective calm of an office. Plus our minds can get the most of us when we’re alone. Addressing fake news and communicating a more transparent culture is good for all employees, but especially helpful for remote employees. Get your executives involved and weigh in on issues that matter. Many times companies fall into the trap of using their intranet to post photos about a company potluck or team bonding activity but they forgot to invite and think about remote employees. It’s an empty feeling when we see something after the fact. Put as much effort up front promoting upcoming activities and encourage remote employees to participate. And when they can’t, @ mentions recognizing they wish they could be there goes a long way. If your internal communications plan currently has humans of new york style videos or write-ups, do some day in the life profiles of your remote employees. They’ll appreciate the love and these will open the eyes of other employees on what’s important to feel inclusive. Employees crave recognition for their achievements. Regular positive reinforcement leads to higher morale, better company culture, and increased motivation. Use your intranet or social tools to publicly recognize your remote employees to assimilate them and make them feel appreciated. Employees are only as productive as their networks. Remote employees have a distinct disadvantage in company network building. An employee intranet can help by having a strong employee profile directory with skills and interests that show depth beyond just their job titles. Culturally, it’s important to recognize the value of networks, encourage openness and participation, and give remote employees special training on how to find people that can help them. Some organizations have specific intranet sites dedicated to remote employees. Oftentimes their technical processes are unique and they struggle with challenges the rest of us don’t think about. For example, consider having to fix your VPN connection when your home intranet reboots. Dedicated sites and the resources behind them can make remote working a little bit easier. Ideation contests are a great way to attract employee interest and increase employee exposure. You can hold contests such as best Halloween costumes, most epic vacation photos, and the list goes on. Content that centers around your employees will pique their interest and increase overall employee engagement. Feature topics your employees would be interested in, such as work anniversaries, new hire/employee spotlights, internal job openings, and communal events. As mentioned above, create a “humans of new york” style video interviews where you can highlight topics such as, your business leader’s (or employee’s) career pivot, day in the life of a working supermom, or sharing a cancer survivor’s story. Be creative! We understand that the life of a remote employee can feel disconnected and lonely. Luckily, there are many ways to communicate and engage with these employees and make them feel like they’re part of the family. Remember, when coming up with creative ways to engage your remote employees, put yourself in their shoes. What other creative ways can you think of or have you done to engage your remote employees?